Featuring our electronic auto-reversing E-Z Track(c), this track set is the perfect solution for point-to-point passenger and freight transit on your layout. A stop time of 5 to 7 seconds allows plenty of time to drop off your cargo or passengers, and a variable speed controller lets you determine the speed of travel. Add-on sections are also available (Item Nos. 44848 & 44849). Then, sit back and enjoy the ride while your town or city comes to life. 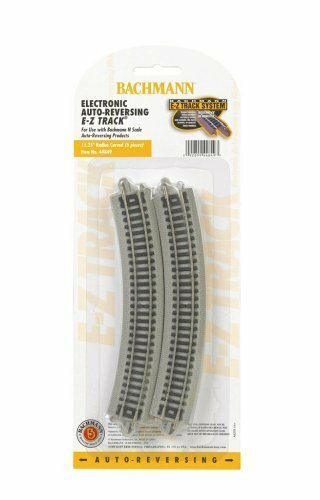 The Nickel Silver E-Z Track(c) Auto-Reversing Track System includes: • 4 pieces of 5" straight auto-reversing E-Z Track(c) • 4 pieces of 11.25" radius curved auto-reversing E-Z Track(c) • 2 pieces of 5" straight E-Z Track(c) • 2 Hayes bumpers • power pack and variable speed controller • illustrated instructions WARNING: CHOKING HAZARD - SMALL PARTS! NOT INTENDED FOR CHILDREN UNDER 3. 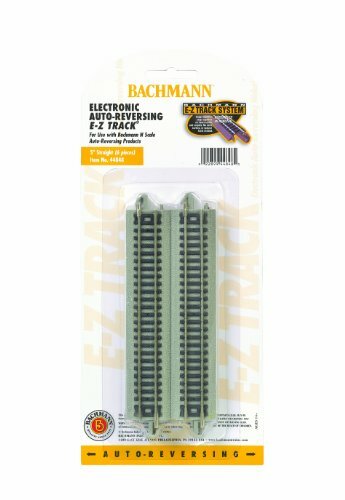 Bachmann N Scale EZ-Track is a high-quality roadbed track with nickel silver rail and gray roadbed. Available in a variety of pieces, you can easily create the layout of your dreams with EZ-Track! 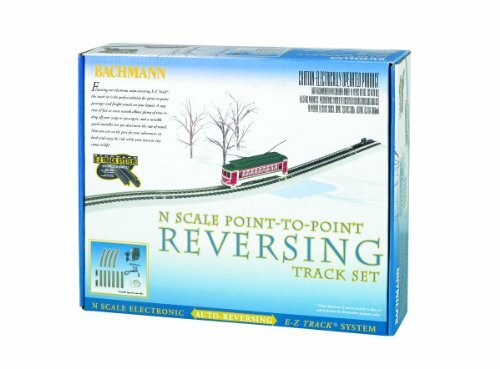 Product Information Nickel silver track and gray roadbed Featuring our electronic auto-reversing E-Z Track(c), this track set is the perfect solution for point-to-point passenger and freight transit on your layout. A stop time of 5 to 7 seconds allows plenty of time to drop off your cargo or passengers, and a variable speed controller lets you determine the speed of travel. Add-on sections are also available (Item Nos. 44548 & 44549). 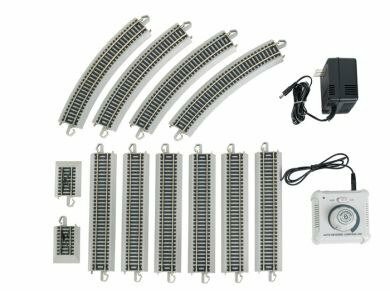 The Nickel Silver E-Z Track(c) Auto-Reversing Track System includes: · 4 pieces of 9" straight auto-reversing E-Z Track(c) · 4 pieces of 18" radius curved auto-reversing E-Z Track(c) · 2 pieces of 9" straight E-Z Track(c) · 2 Hayes bumpers · power pack and variable speed controller · illustrated instructions WARNING: CHOKING HAZARD - SMALL PARTS! NOT INTENDED FOR CHILDREN UNDER 3. 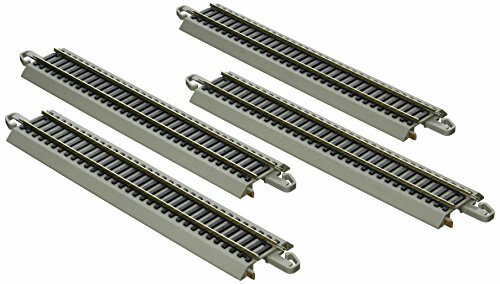 FOUR PIECES Product Information You can expand your point-to-point rail system with Electronic Auto-Reversing Nickel Silver E-Z Track(c). Available in 9-inch straight sections or 18-inch radius curved sections, this electronically equipped track is specifically designed for the open-end track configuration of our HO and On30 scale Trolley and Street Car sets, allowing you to go virtually anywhere in your village layout. WARNING: CHOKING HAZARD - SMALL PARTS! NOT INTENDED FOR CHILDREN UNDER 3. MRC?s Prodigy DCC is engineered to let most railroaders operate multiple locos on one layout by following the Quick Start instructions on the handheld controller. You can control multiple locos on the same track, going at different speeds, in different directions. This accessory automatically change polarity of your reverse loop or reversing section. Easy 4-wire hookup. Not for use on non-DCC layouts or with non?decoder equipped locomotives. Product Information You can expand your point-to-point rail system with Electronic Auto-Reversing Nickel Silver E-Z Track(c). Available in 9-inch straight sections or 18-inch radius curved sections. 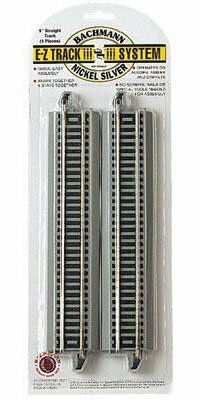 This electronically equipped track is specifically designed for the open-end track configuration of our HO and On30 scale Trolley and Street Car sets, allowing you to go virtually anywhere in your village layout. WARNING: CHOKING HAZARD - SMALL PARTS! NOT INTENDED FOR CHILDREN UNDER 3. 9" Straight Electronic Auto-Reversing Track. You can expand your point-to-point rail system with Electronic Auto-Reversing Nickel Silver E-Z Track®. 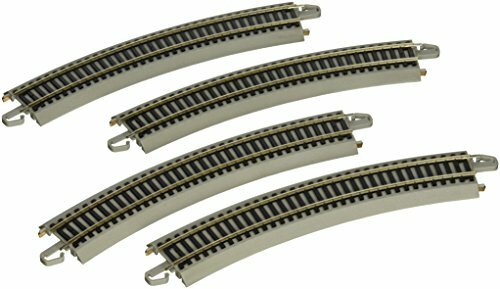 Available in 9-inch straight sections or 18-inch radius curved sections, this electronically equipped track is specifically designed for the open-end track configuration of our HO and On30 scale Trolley and Street Car sets, allowing you to go virtually anywhere in your village layout. 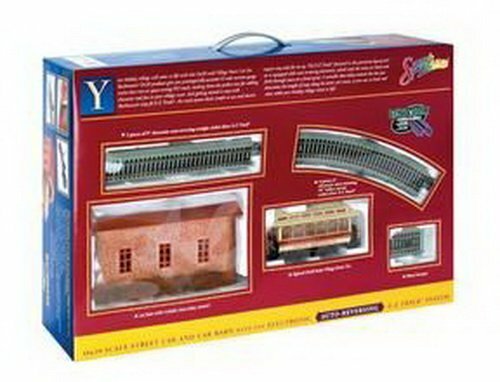 What's the best Model Railroad Auto Reversing Unit? In this video I give a quick demonstration of an auto-reversing circuit I'm working on around a PIC18F1220. 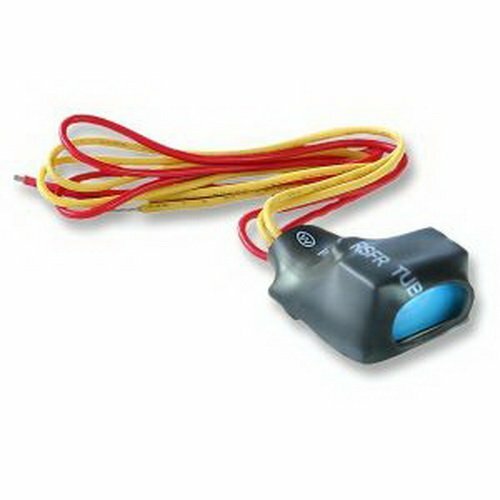 Compare prices on Auto Reversing Track at ShoppinGent.com – use promo codes and coupons for best offers and deals. Start smart buying with ShoppinGent.com right now and choose your golden price on every purchase.